A new limited edition LMX version of the Audi R8 will not only be the most powerful road going iteration of the super sports car ever made, but will also be notable as the first production car to adopt laser high beam lighting as standard. 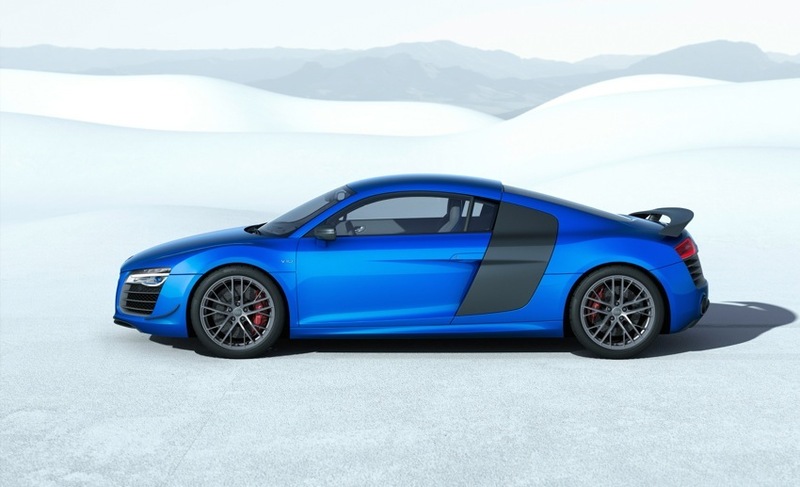 The new 570PS, 198mph R8 LMX will make its UK public debut at the Goodwood Festival of Speed and will become available to order at the same time priced from £160,025 OTR. UK deliveries will begin in the autumn. 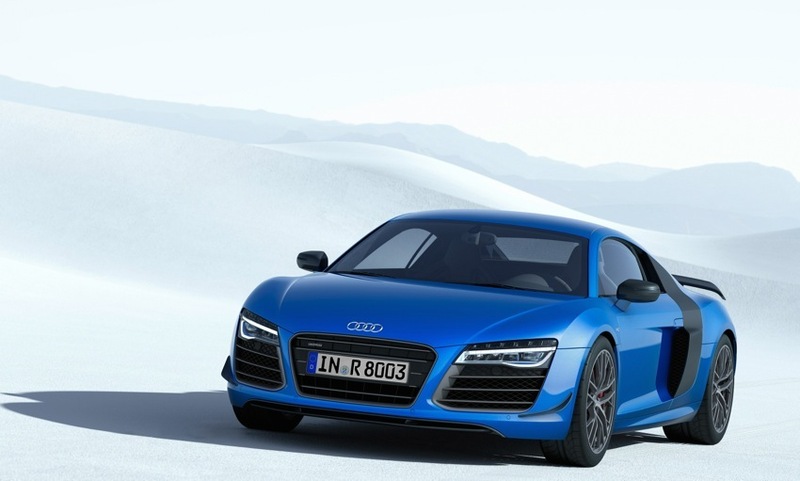 The Audi R8 LMX is based on the acclaimed V10 plus model with its high-revving, mid‑mounted ten-cylinder engine, double wishbone suspension and ASF (Audi Space Frame) aluminium body. It will be available exclusively as a coupe with a production run limited to 99 vehicles, and with 540 Nm of torque to complement its 570PS output will be capable of rocketing to 62mph from rest in just 3.4 seconds before topping out at 198mph. A compact, seven-speed S tronic transmission transfers the power to the quattro permanent all-wheel drive system, which distributes it judiciously to racing-inspired 19-inch, 20-spoke wheels shod with tyres with 215mm front and 305mm rear widths. These conceal carbon-fibre ceramic brake discs with red anodised calipers measuring 380 mm in diameter at the front. 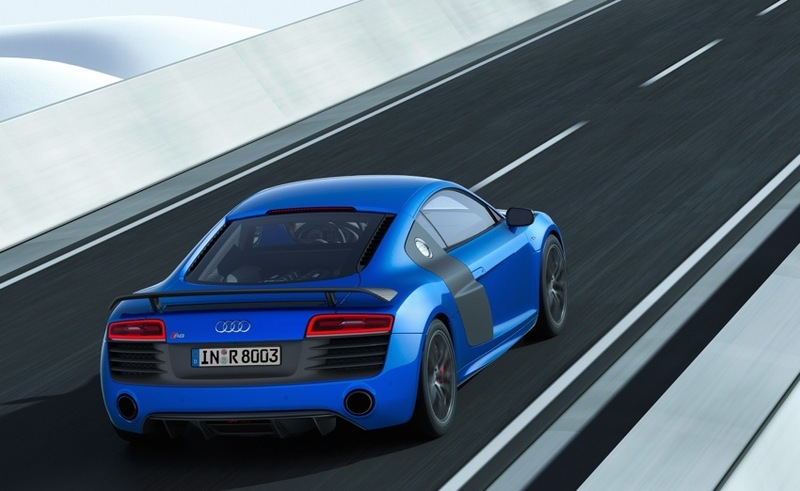 The light emitted by laser beams before they pass through a phosphor converter is blue, and this has inspired an Audi exclusive Ara Blue, crystal effect customised paint finish for the new R8 LMX. If preferred, it can also be ordered with Daytona Grey matt effect or Mythos Black, metallic paint finishes. The new flagship model is also marked out by a large, fixed rear spoiler for increased downforce on the rear axle, and by additional use of carbon fibre-reinforced polymer (CFRP) for the front spoiler lip, side flics, engine compartment cover, exterior mirror housings, sideblades, rear wing and diffuser. The Singleframe grille and front air intakes and the outlet grille at the rear are finished in titanium grey, while the sports exhaust system features high-gloss black tailpipes. Blue accents continue the theme in the interior with its bucket seats upholstered in Fine Nappa leather and finished with Sepang Blue diamond stitching and backrest covers in Ara Blue. Sepang Blue diamond stitching also adds contrast in the Alcantara headlining and black Fine Nappa leather door trim panels, and the colour is also sewn into the edges of the parking brake lever, centre tunnel console, steering wheel and instrument cowl. The list of subtle details marking out this exclusive model also includes matt carbon covers for the centre tunnel console and parking brake lever, the inlays in the doors and the arc around the cockpit, and illuminated aluminium inlays bearing the limited-edition number integrated into the CFRP door sill trims. Fine Nappa leather adorns the selector lever for the S tronic and the knee pads, and the floor mats have black piping and Sepang Blue stitching. 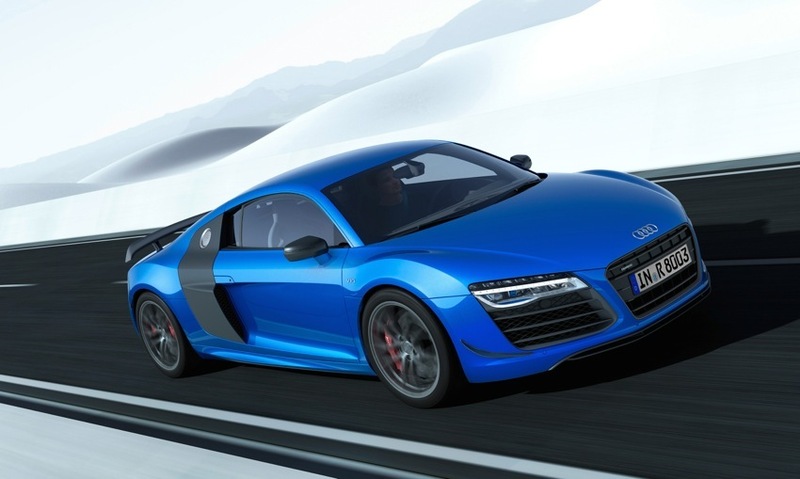 In 2008, the Audi R8 became the first production car in the world to feature all‑LED headlights; this was followed in 2012 by dynamic indicators with a unique sweeping action. Audi launched a new chapter in automotive lighting with the Matrix LED headlights, which debuted in the updated A8 in 2013. 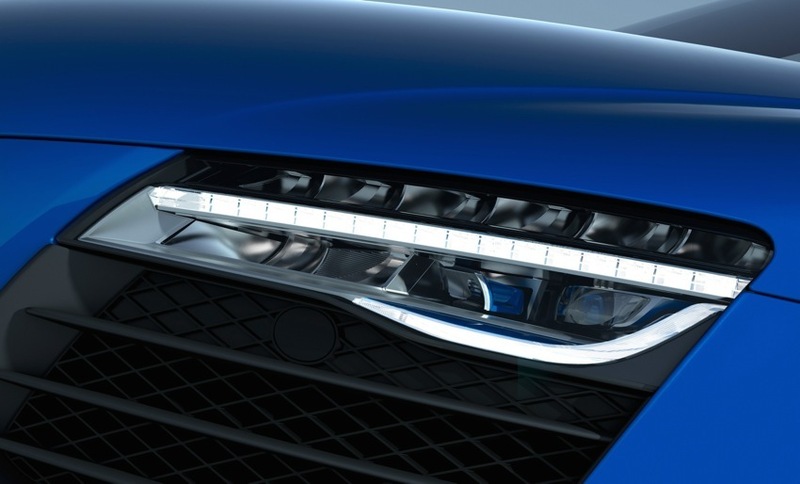 Now the brand with the four rings is progressing to the next stage in the R8 LMX: the laser spot for the high beams. 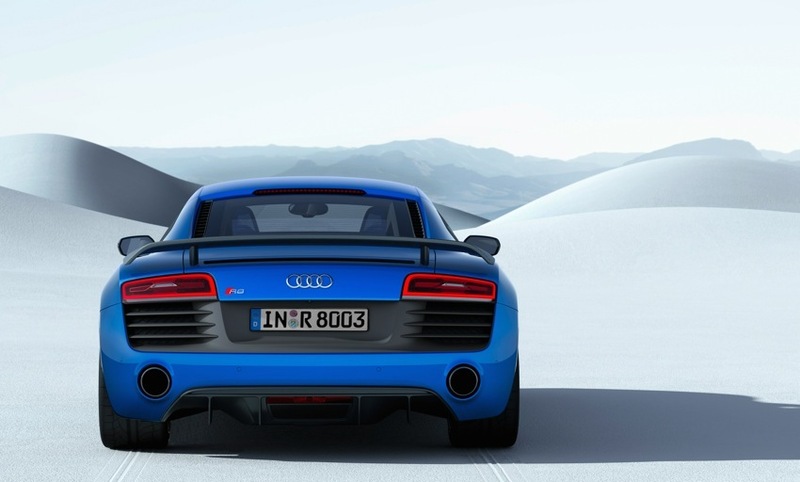 It increases the illumination range substantially, which is ideal for a supercar like the R8 LMX. Audi engineers work very closely with their racing colleagues on the development of lighting technologies. The combination of LED and laser high beams, for example, will be used for the first time on the new Audi R18 e‑tron quattro at the 24 Hours of Le Mans on June 14 and 15. The premium brand is thus continuing its tradition of using racing to test new technologies destined for production. “Audi has long dominated the most important 24-hour race. In addition to the outstanding TDI drive technology, a maximum light yield gives our pilots a major advantage, and with night racing in particular is a key factor to our success,” says Prof. Dr. Ulrich Hackenberg. 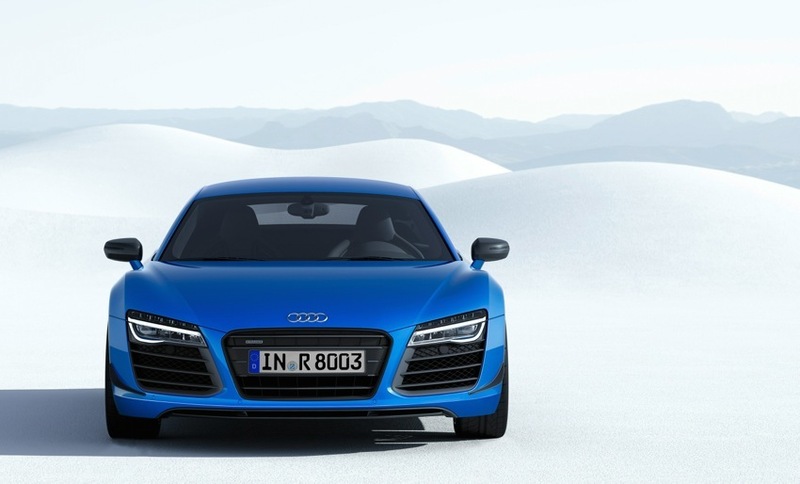 “The transfer of the laser headlight to the Audi R8 LMX underscores our leading position in lighting technology. The safety benefit this provides to the customer truly represents Vorsprung durch Technik,” says AUDI AG’s Board Member for Development. With the new laser high beams, one laser module per headlight generates a cone of light with twice the range of the all-LED headlight. Each module comprises four high-power laser diodes. With a diameter of just 300 micrometers, these generate a blue laser beam with a wavelength of 450 nanometers. A phosphor converter transforms this into roadworthy white light with a colour temperature of 5,500 Kelvin – ideal conditions for the human eye that enable the driver to recognise contrast more easily and help prevent fatigue. 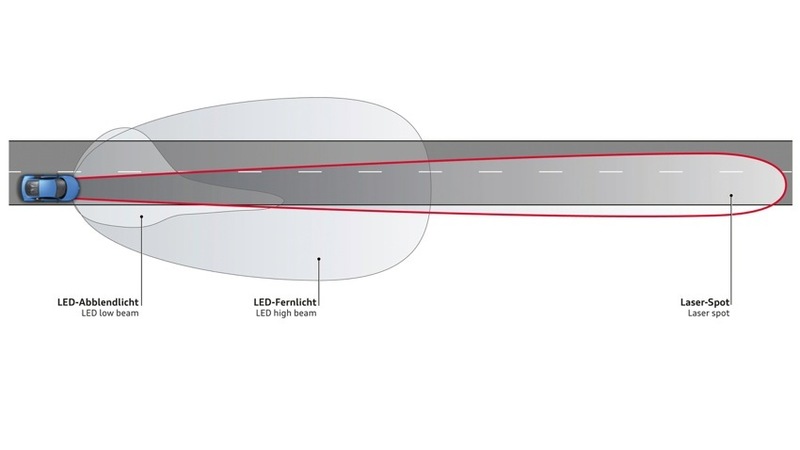 The laser spot, which is active at speeds of 37mph and above, supplements the LED high beam in the R8 LMX and greatly enhances visibility and safety. An intelligent camera-based sensor system detects other road users and actively adjusts the light pattern to avoid dazzle.